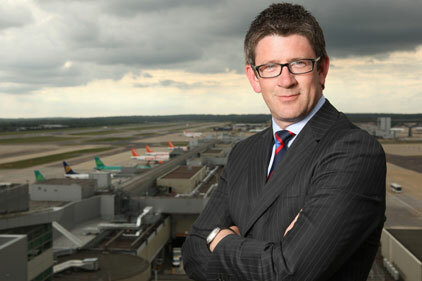 When BAA sold Gatwick Airport to Global Infrastructure Partners in 2009, the only member of the executive board to retain his position was Andrew McCallum. The jovial, welcoming Scot is now faced with the rather daunting task of repackaging Gatwick as 'London's favourite airport' (PRWeek, 4 May). McCallum clearly feels no kinship with his former boss BAA, now a rival. While showing off Gatwick's £1bn refurbishment project, he cheekily lets it slip he toyed with the idea of gaining headlines by dumping all of Gatwick's BAA-branded signage on the roundabout outside the airport. 'BAA was entirely focused on runway three,' recalls McCallum. 'Heathrow was always going to be its primary focus. McCallum, who is only 33, talks energetically about pace, competitiveness and - most of all - challenging BAA. He draws comparisons with Virgin taking on BA and Apple's battle with Microsoft. His vision is to promote Gatwick as 'London's airport of choice', emphasising the quality of service compared with its larger competitor. He has a battle on his hands - his bosses want to increase number of passengers passing through the airport every year from the current 32 million to 40 million by 2020. McCallum joined Gatwick in 2008 from British Gas owner Centrica, where he had worked since joining as a graduate trainee in 2000. Initially taking on a comms team of four at Gatwick, he has built this into a 16-strong, five-team unit, spanning media and PR, public affairs and policy, internal comms, brand comms and corporate responsibility. To help with Gatwick's demanding brand realignment, McCallum this month enlisted the help of The Red Consultancy for a three-year brief. 'We're not paying them a huge amount,' smiles McCallum, playing up to the thrifty Scot stereotype. He has already faced down his fair share of crisis. Last year, while he was still building his comms team, McCallum had three instances of planes being grounded due to the elements: two snowfalls book-ending the Icelandic ash cloud in April. Centrica director of corporate reputation Simon Henderson describes McCallum as 'hard working with a good balance of strategy and delivery of projects'. McCallum is evangelical about the possibility of social media and speaks excitedly about interactive Twitter feeds, incorporating Skype into the airport website and placing Stickybits barcodes on the many boarded-up areas where refurbishment is taking place. When scanned by customers' iPhones, the barcodes launch footage explaining the building work going on. McCallum flashes a winning smile and one cannot help thinking he might just stand a chance of felling Goliath. Landing the comms and external affairs brief at Gatwick during an exciting and transformational time for the airport was a fantastic opportunity for me. Being part of a dynamic, new executive management team, redefining Gatwick while building and leading an energetic and talented team to drive home our messages, is both challenging and rewarding. No-one specific, but I've been very fortunate to have worked with some excellent people during my career, from whom I've learned a great deal. Be confident in your own ability and trust your convictions. Work hard and always deliver. Listen and learn from those around you. Have a career plan but be flexible and adaptable. I expect new recruits to be energetic and passionate, ambitious yet realistic, to have an opinion and share it. And, of course, to have excellent writing skills.